A little funkier and a lot more fast-paced, Modern Jazz has its roots in Caribbean Traditional Dance forms. Jazz Dance class elements include a warm-up, leaps across the dance floor and different types of turning. A little less refined than Ballet, Jazz uses the techniques of Ballet as a springboard for the modern moves with your hands, legs, and body that define Jazz. Jazz dance focuses on relaxed movements incorporating the Ballet elements of head spotting and on point from Ballet. Ballet assists your Jazz technique and it is fun! Students find they can inject their twists and personalities into Jazz. It is a less rigid dance form than Ballet. The Class instructor will present the material to students and then students are encouraged to inject themselves and make it their own! Hope to make the High School Dance Team? Your High School Dance team is very interested in a girls' Jazz Dance abilities. Smooth transitions from dance moves to jazz moves and jazz moves to leaps are skills that are perfected in this class. Ballet and jazz go hand in hand. Dance teams are looking for team members that have focused on technique, skill, and personality. Having excellent showmanship and looking like you are enjoying yourself and having fun is important to the judges when auditioning for a High School Dance team. A dancer whose goal is to participate in her high school dance team should consider taking Ballet and Jazz classes together as a way to prepare herself for the challenge and opportunity. We offer middle school and high school classes. It is also offered to pre-kindergarten and kindergarten dancers in classes that include jazz and other forms of dance in a combination class. 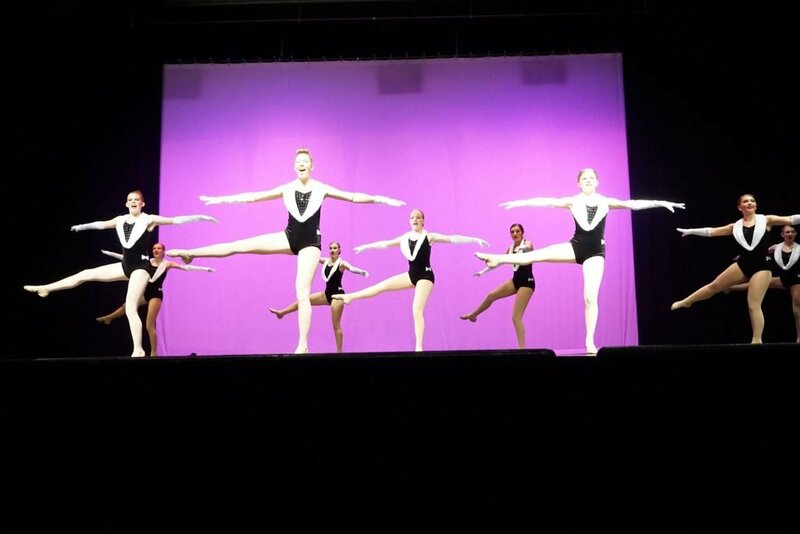 Students show off their Jazz dance skills at recitals that are scheduled twice during the year, Christmas and May. Many of our older students find themselves in 2,3 and up to 6 dances at our recitals! The more classes you take the more dances you will be in during a recital. Because of our smaller classes, students learn proper jazz dance techniques. Classes are offered throughout the week. Check the class schedule for a Jazz class that compliments your schedule then call to register!